Amanda is one of Philadelphia's best wedding photographers, and someone I call a friend. She’s one of those people whose joyful demeanor spreads like wildfire wherever she goes, and as you can see, she and Rich together have a pretty amazing energy. 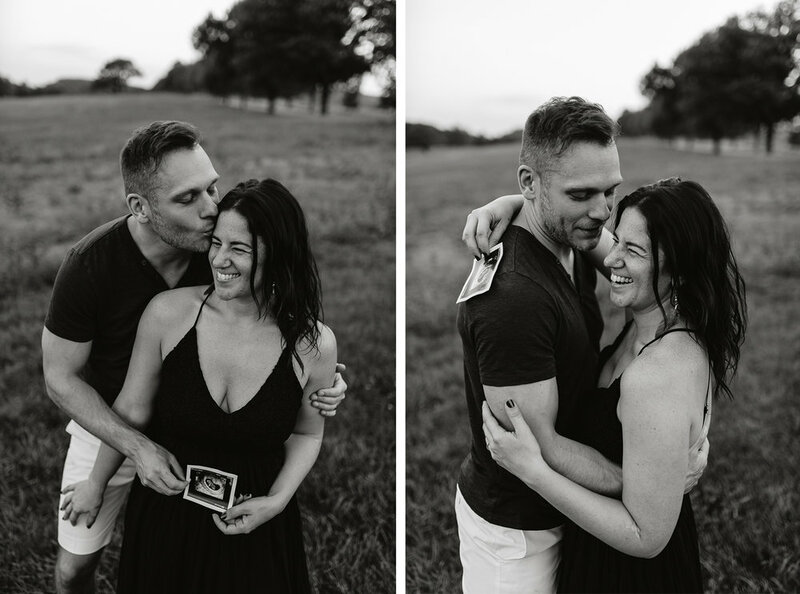 At the end of our session Amanda and Rich unexpectedly pulled out their sonogram picture, I cried briefly and we captured their first official photos of the “three” of them! I'm so glad I was able to spend an evening documenting their love, the whole shoot was a blast, tears and all, - plus, they treated me to tacos and french fries afterwards, and it really doesn't get any better than that. Look at how happy they are!!! Ah! Congratulations on your precious little girl, Amanda & Rich!